In a plan to redeem prostitutes and “combat the social evil of fallen women” in 1894, the Rev. J. T. Upchurch and his wife Maggie Mae organized the Berachah Rescue Society in Waco. 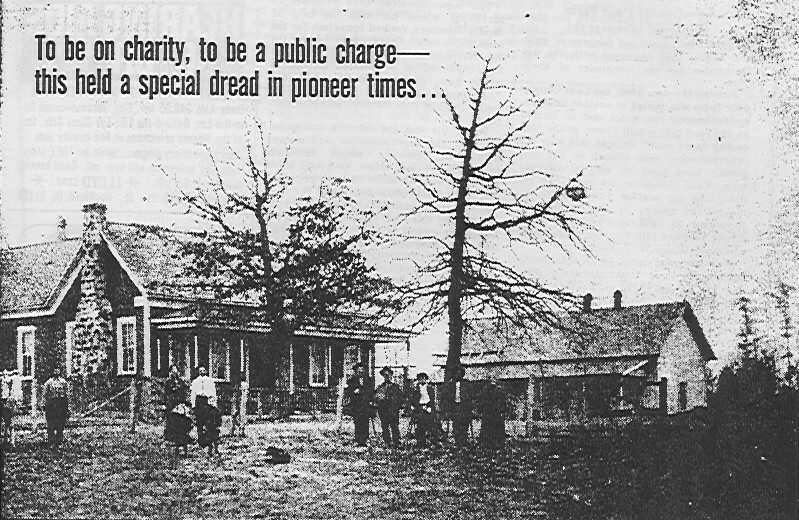 One newspaper account claims he was “driven away [from Waco] by angry fellow Methodist church members who opposed his missionary work with prostitutes.” Regardless of the reason, the Upchurches moved in 1903 to the Dallas slums to continue their mission. Sometime in 1903 Mrs. Upchurch’s father donated twenty-seven acres in Arlington between Dallas and Fort Worth, and the Upchurches opened the Berachah Industrial Home for homeless, often pregnant girls, from all over Texas and the surrounding states. Although Upchurch held conservative theological views, his ideas for social reform were liberal for the time. His home, unlike others for unwed mothers, required that children remain with their natural parent and that the mothers learn to care for themselves and their children. He believed that there were no illegitimate children, only illegitimate parents. Upchurch published The Purity Journal for financial contributors who were primarily Dallas-Fort Worth businessmen. In the journal articles Upchurch wrote of the evils of brothels, saloons, and social corruption. His stories about the slums and the shelter included accounts of redemption and salvation. He also described the work being done at the home and detailed individual case histories. The residents worked in the home’s handkerchief factory, operated the press for the Purity Journal, and maintained the large gardens and orchards. Upchurch required all residents and staff to attend worship services on the premises and to refrain from using the phone on Sundays, eating pork, or consuming coffee, tea, or tobacco. At the height of the operation in 1928, the home added an additional forty acres and expanded to at least ten buildings including a hospital/clinic, nursery, dormitory and dining room, handkerchief factory, school, auditorium, and barn. The home closed briefly in 1935 and Upchurch’s daughter and son-in-law Allie Mae and Reverend Frank Wiese reopened the facility as an orphanage that served until 1942. Today the property is on the campus of the University of Texas at Arlington, and the only physical reminder of the history of the site is the cemetery opened in 1904 that contains over eighty graves of unwed mothers, stillborn babies, children who died in measles epidemics, and employees and their children. The dream of finding a new life, the belief that if a man worked hard, he could “make it,” drove settlers by the thousands to the cheap land in Texas. If illness, death of the breadwinner, drought or crop failure forced a family into poverty, they and their neighbors believed that the need to accept public assistance was a form of moral failure. During the Civil War, churches and charities that had always helped the indigent, could not keep up with the level of poverty after the men left for service in the Confederacy. When the men returned, they found four years of neglect, the cattle sold or stolen, fields grown up in weeds, and houses crumbling for lack of money or labor for repair. In an attempt to address the mounting problems of the destitute—young, old, mentally ill, and sick—an addendum was added to Texas’ 1869 constitution assigning to the counties the responsibility for providing a Manual Labor Poor House to care for the indigent and those who had committed petty crimes. Notice that lawbreakers were to be included in the poor houses—a clear indication of the disdain that coupled the impoverished with the criminal element of the community. The Texas Historical Commission (THC) conducted a survey in 1987 and discovered that at least sixty-five of the 254 counties in Texas opened a poor farm. While very few of the farms kept records of the names, number or type of indigents housed in the facilities, Anderson County listed “indigent blind person, “indigent widow,” and “pauper” among its poor farm residents in 1887. The superintendent was allowed $6.50 per month to provide food and clothing for the paupers and twenty cents per day to feed the convicts and farm hands. The county paid for clothing, medicine and doctor visits for the tenants, but stipulated that funds would not be paid for babies nursing their own mother. Debbie Cottrell’s research for her article in the Southwestern Historical Quarterly, July 1989-April 1990 reveals that most of the farms closed with the introduction of federal assistance programs during the Great Depression. Cottrell writes that three counties—Anderson, Parker, and Cass—left more records than most other counties. Anderson County, which opened its farm near Palestine in 1884, built a potato barn, a superintendent’s home, housing for indigents, and a jail. It operated until the 1940s. Parker County began housing indigent families south of Weatherford in barracks-style houses about 1889; by the 1930s the residents were mostly elderly. 1914 Photo Cass County Poor Farm Right, pauper’s and their home, Left is superintendent’s family and house with inmates attached dining room. John died. Renamed Rio Vista Farm, it housed the temporary base for a Civilian Conservation Corps, and it sheltered hundreds of homeless adults and children. It served from 1951 to 1964 as the reception and processing center for the Bracero Program, which brought Mexican laborers to work in the agricultural regions of the United States. Rio Vista accepted neglected and abandoned children in addition to indigent adults. Edna Gladney, an early champion of children’s rights and better living conditions, moved with her husband to Sherman, and while on a campaign with the Sherman Civic League to inspect local meat markets and public restrooms, they discovered the deplorable conditions at the Grayson County Poor Farm. After writing a scathing article in the local paper about the poor farm being little more than a dumping ground for the poor, insane, handicapped, and children, she arranged for the Civic League to have a meeting with the Commissioners Court and the owners of the poor farm. She enlisted the aid of Civic League to clean and whitewash the facility. Then, she arranged to have the children transferred to the Texas Children’s Home and Aid Society in Fort Worth. 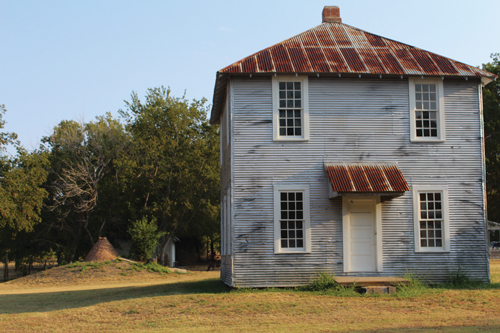 One of the original buildings on the Kaufman County Poor Farm. paupers who were expected to support themselves by working on the farm until they were financially able to leave or until they died. During the 1900 outbreak of smallpox, the poor farm served as the Epidemic Camp. A burial site on the property has been in use since the 1871 typhoid fever epidemic and continues to be the location for the burial of transients, inmates who die in jail, and persons who have been quarantined. The Texas Historical Commission is working with counties throughout the state to locate and document the operation of Texas poor farms—a legacy that has been forgotten. Sometime in 1903 Mrs. Upchurch’s father donated twenty-seven acres in Arlington between Dallas and Fort Worth and the Upchurches opened the Berachah Industrial Home for homeless, often pregnant, girls from all over Texas and the surrounding states. Upchurch published The Purity Journal for financial contributors who were primarily Dallas-Fort Worth businessmen. In the journal articles Upchurch wrote of the evils of brothels, saloons, and social corruption. His stories about the slums and shelters included accounts of redemption and salvation. He also described the work being done at the home and detailed individual case histories. The residents worked in the home’s handkerchief factory, operated the press for the Purity Journal, and maintained the large gardens and orchards. Upchurch required all residents and staff to attend worship services on the premises and to refrain from using the phone on Sundays, eating pork, or consuming coffee, tea, or tobacco. Today the property is on the campus of the University of Texas at Arlington and the only physical reminder of the history of the site is the cemetery opened in 1904 that contains over eighty graves of unwed mothers, stillborn babies, children who died in measles epidemics, and employees and their children.